Ex-Tiffany's Exec Stole $1.3M in Jewelry Because, Seriously, Why Not? 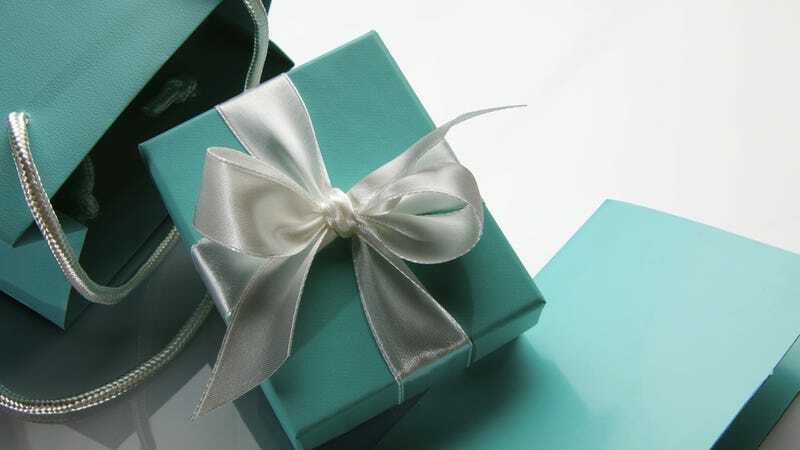 Today in "seriously, why has this not happened before," a former vice president of Tiffany & Co. has been accused of stealing $1.3 million worth of jewelry from the company. If you have ever worked in a restaurant and furtively eaten a quesadilla while hunched over the trash can, then you're basically in the same boat as her. The former executive, Ingrid Lederhaas-Okun, is accused of stealing 165 pieces of jewelry over the course of two years, including diamond bracelets, earrings, and pendants — but let she who has not eaten 165 illicit quesadillas cast the first stone. Allegedly Lederhaas-Okun would check out the pieces, which is apparently a thing you can do if you work as an executive at Tiffany & Co. (the only thing you can "check out" if you work at a blog, by the way, is a photograph of Leonardo di Caprio smoking an e cig on a Citi Bike). She would then sell them to an international jewelry buyer and reseller. The plot was discovered after Lederhaas-Okun's termination in February, which happened because the luxury jewelry brand was downsizing. After conducting an inventory, Tiffany's found that, having spent two years being like, "Yeah, ok Ingrid, you have fun with that $50,000 necklace! Have a good weekend! ", they'd been taken advantage of. Can you even fathom it? Lederhaas-Okun is charged with one count of wire fraud and one count of interstate transportation of stolen property; she faces a maximum sentence of 30 years in prison. Says FBI Assistant Director-in-Charge George Venizelos in a news release, "Ingrid Lederhaas-Okun took advantage of the access her employment afforded her to expensive jewelry. A privileged position in a prestigious company does not insulate a thief from arrest and prosecution." Because that is the motto of the American justice system for sure.